Our attractive sign samples and cost estimates send a clear message that SNAP reusable signage is here to stay. In fact, it’s hard to go back to expensive, cumbersome permanent signage when you realize the SNAP system enables you to create and install your signs in just minutes. Need to update? It’s a SNAP, at little more than the cost of a printable paper insert. So don’t let your permanent sign system grow stale, due to maintenance costs. Switch to changeable signs and name tags that are always professional, always fresh. And let our sign samples show the way! Call us. Together we can review your plans, select just the right samples and keep your sign costs in line. Introduce your personnel and, simultaneously, your unique brand with desk signs highlighting your corporate colors and custom logos. And the price...also unique for this quality and detail...keeps you within your signage budgets. Click any image for more details. 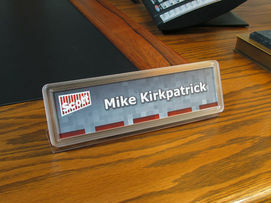 Here’s a customizable name tag large enough to attract attention across counters and desks. 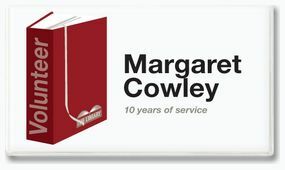 There’s ample space for a logo, full name, even a title and years of service for your loyal staff member. 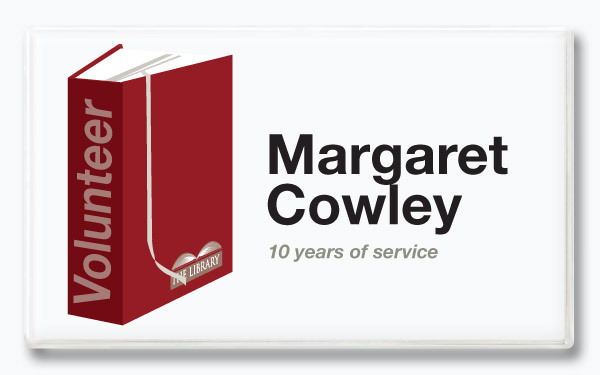 And the low sign costs allow changeable recognition for other milestones too. Look closer - click the image. 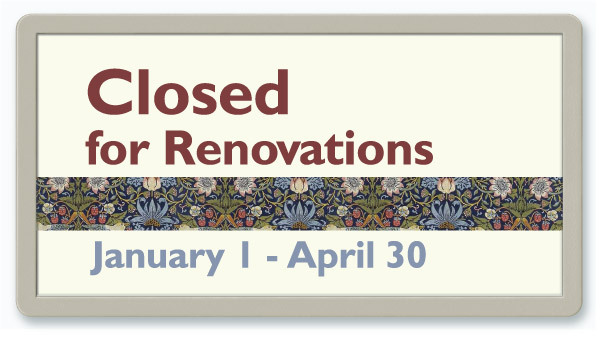 Avoid delays, stay on-time and on-budget with reusable signs that change along with your exhibits. You can preserve your investment in physical signs and software designs, changing only the lettering for pennies. Mounting options? Visit our store. 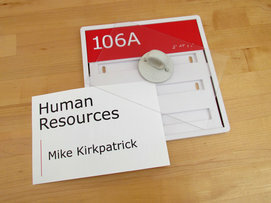 ADA signage looks good, feels good and costs very little when we provide the tactile lettering and Braille panel, with a durable frame and clear shield. You simply change the printed paper insert as needed, saving time and sign costs. See how it works -- watch the demo video. Now you can manage a complete sign program without the normal issues of time, money and manpower. Let us provide the lower cost, better value alternative with a SNAP do-it-yourself sign system that's easy, efficient and Simply Never A Problem for your signage budgets.